Why are the Akalis splurging on Badal's birthday bash knowing the rivals will take them to task? The Congress has hit out at the Badals for splurging public money on a birthday bash for the chief minister even while the intended beneficiaries of their much-touted Atta Dal scheme are still waiting for their quota eight months after it was announced. The apathy of the Badals to the plight of the poor seems to know no bounds, the Congress said in a statement on Wednesday, reacting to media reports that over a crore beneficiaries of the scheme will not get their eight-month quota of subsidised pulses as the government has failed to provide funds for it. Also Read: Can Punjab Congress crawl back to victory after Amarinder's full overhaul? 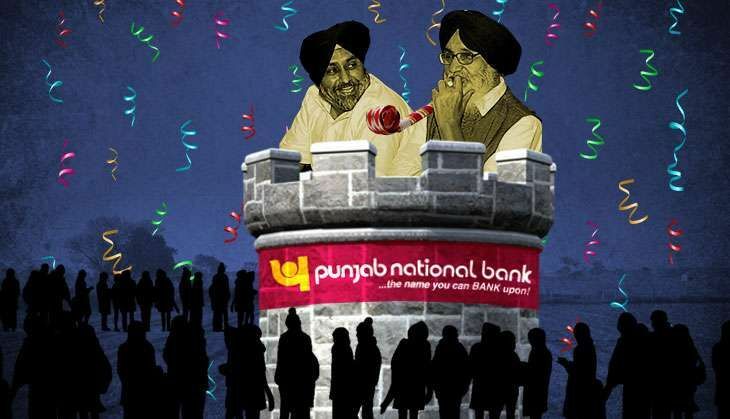 While the common people, already reeling under a mega cash crisis on account of demonetisation, continue to wait endlessly for basic essentials such as atta and dal, the Akali regime has opened its coffers for the birthday celebrations of Chief Minister Parkash Singh Badal in Moga on December 8. Punjab Congress leaders Malti Thapar, Babbu Singh and Tara Singh Sandhu lamented the "shocking manner" in which the official machinery has been mobilised to make the Moga rally, "which the government is trying hard to camouflage as an anti-SYL battle", a success. "This despite the fact that the state exchequer is virtually empty "thanks to the loot and plunder unleashed by the Badal government over the last 10 years of its Jungle Raj," the leaders said. The government has already incurred a huge expenditure on hoardings, ads and other publicity material as well as for making arrangements at the venue of the rally in gross violation of all norms, the Congress leaders claimed. They alleged that the "brazen misuse of official machinery and public funds by the Badals in their last few days in office is pushing the state towards inevitable bankruptcy". The leaders said if voted to power, the Congress will not only add tea and sugar to the atta-dal scheme as promised by the party's state chief Amarinder Singh, but there would be no laxity in its implementation to ensure the benefits percolate down to the actual beneficiaries without fail or delay. "The abuse of authority by the Badals is also manifest in the speed with which appointments and transfers are being made before the imposition of the Code of Conduct for the forthcoming assembly election," the Congress leaders further said. They referred to a media report to point out that as many as 96 Akalis have been parked in welfare boards in "unabashed violation of norms" ahead of the election. Plum administrative and police transfers and postings are also being handed over by the Badals to their loyalists as the polls draw closer, they added. The Badal regime "is doing everything in its power to give bounties to its supporters while the common man is fighting desperately to make both ends meet", the Congress leaders added. Also Read: Captain Amarinder Singh catches up: Has AAP lost steam in Punjab? Should China really be riled by Donald Trump's call to Taiwan's president? READ NEXT >> Should China really be riled by Donald Trump's call to Taiwan's president?